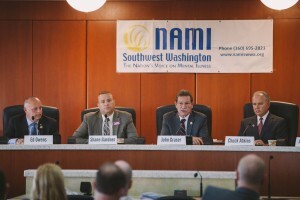 Sheriff candidates on mental health | Audio and video stories from Southwest Washington. 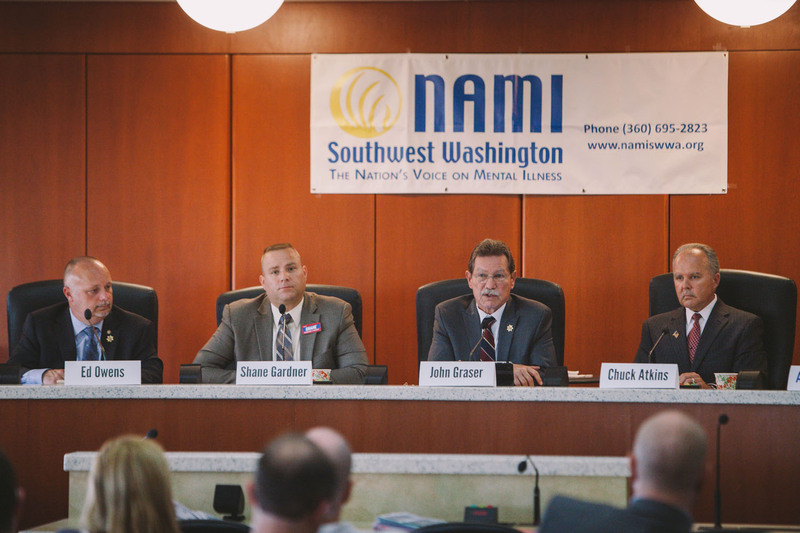 Tuesday, June 24th, the National Alliance on Mental Illness of Southwest Washington held a forum for Clark County Sheriff candidates Ed Owens, Shane Gardner, John Graser and Chuck Atkins. Candidates expressed similar concerns on the outdated intake and screening process used to identify mentally ill inmates at County Jails. The current process “basically turned our jails into a hospital and our correction staff into mental health care givers”, said Atkins. If elected, John Graser outlined a plan to “take the mentally ill inmates out of the Clark County Jail and put them in a separate facility.” He plans on re-opening a part of the jail work center located on lower river road. To view highlights from the forum, view the video above.